Dr. Abraham Anderson was a member of our Norfolk Medical Society. He was instrumental in helping to launch the careers and medical practices of several Ob/Gyn physicians in the Hampton Roads area. ​Despite efforts by medical schools to increase diversity among applicants, the numbers for one demographic—black men—have remained stagnant for nearly 40 years. In 1978, 1,410 black men applied to U.S. medical schools. In 2014, that number was 1,337, according to a new AAMC report, Altering the Course, Black Males in Medicine. 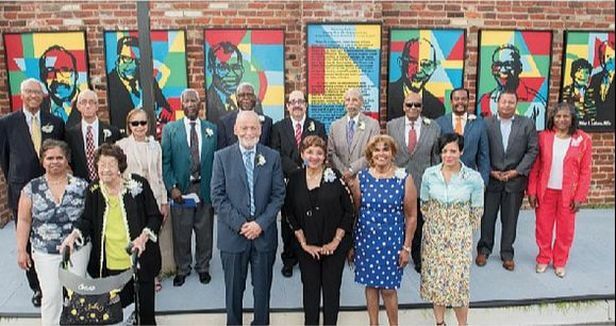 The portraits of 21 physicians instrumental in the history of Bon Secours Richmond Community Hospital adorn a new Legacy Wall in Richmond’s East End. The doctors helped spearhead the 1980 move of the hospital from Overbrook Road in North Side to a new facility on North 28th Street in the East End.